We meet people where they are when it comes to understanding and living the life God reveals to us in the scripture. We patiently teach and show by example the heart of God behind His principles. Have you ever experienced a complete remodeling of your favorite grocery store? Those who had finally determined the location of every item – from applesauce to zucchini – now find that everything has moved! However, even in the chaos of a grocery store’s reorganization, there are two items that you’ll never find in the same aisle: baby food and steak. No proper parents would give their toothless newborn a well-done sirloin. Nor would a growing teenager be satisfied by a squeezable pouch of carrot-broccoli-strawberry mush. The quantity, texture, and composition of the foods that we eat must be in line with our developmental and dietary needs. In the same way, our Creator – who is certainly aware of our need for proper nutrition (Matthew 6:32) – knows that the quantity and composition of our spiritual nourishment also has to be tailored to our developmental needs. We see this in verses such as 1 Peter 2:2: “Like newborn infants, long for the pure spiritual milk, that by it you may grow up into salvation.” Staying on milk, however, is not the long-term plan: “Everyone who lives on milk is unskilled in the word of righteousness, since he is a child. But solid food is for the mature, for those who have their powers of discernment trained by constant practice to distinguish good from evil” (Hebrews 5:13-14). From such passages, a clear picture emerges of God’s spiritual dietary plan: pure milk for those who are newer believers, and meat for those who – by God’s grace – have become more spiritually mature. 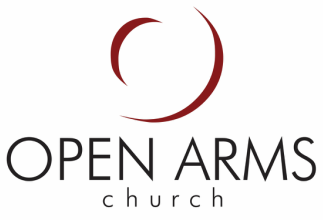 It is from this biblical perspective that we see the importance of cultivating a nurturing environment that is sensitive to the various spiritual appetites of those attending Open Arms Church. In a way, the Bible teaching on Sunday mornings is like the preparation of a grand buffet where every morsel points back to the Master Chef, Jesus Christ. Growth Groups and Open Arms Institute classes are good opportunities to learn how to use a fork and knife to “rightly handle the word of truth” (2 Timothy 2:15). Cultivating opportunities for personal relationships and one-on-one discipleship help us to approach unfamiliar foods together, and to graciously help each other examine the ways in which our own recipes for navigating life haven’t been turning out very well. Indeed, we find ourselves in that place too frequently, don’t we? The gravy keeps sticking to the pan and the toast keeps burning – all of our best-laid plans keep falling apart, or at least not turning out as good as we hoped – and yet, consciously or not, we put a hand between us and our Maker, saying, “I’ve got this, God, just let me figure this out on my own.” But since God is love (1 John 4:8), which signifies that He is patient and kind (1 Corinthians 13:4), He reaches around our raised hand to show us that He can not only help us with our little recipe, but that He also knows the whole menu from the eternal beginning to the eternal end. At Open Arms Church, we strive to exhibit similar patience and encouragement as we help each other to see the bigger picture. In the grocery store of life, only our Heavenly Father knows where everything is and how it all fits together. We function best when we look to Him together for the directory and the map. We trust that our church offers a nurturing environment that reveals the heart of God and His incredible care for you. We want to walk this journey with you … not make you try to figure it out on your own.